DeAndre Moore came to Minneapolis from St. Louis with a purpose, but things aren't going as planned. 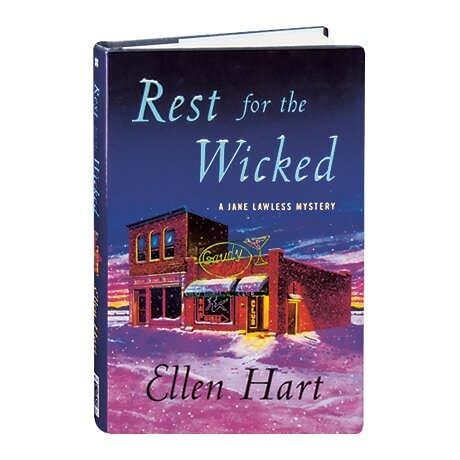 When it becomes clear that he's in over his head, he can think of only one person to call for help: his Uncle Nolan's business partner, newly licensed private investigator Jane Lawless, in her 20th mystery by MWA Grand Master Ellen Hart (following The Lost Women of Lost Lake). But by the time Jane plays DeAndre's voice mail, she's hearing him from beyond the grave, as he left the message only minutes before he was knifed to death outside a gentlemen's club—nor is his the only murder. With Nolan in the hospital, Jane sets out on her own to find out who killed DeAndre and why he was in Minneapolis in the first place.